The Anambra State government has congratulated Air Peace Airlines on the acquisition of Boeing 777 aircraft for its international operations. The state government said it would give the country the opportunity to have its own airline airlift its citizens to different destinations of the world, create jobs at home and also cut back foreign exchange repatriated by foreign carriers. The new acquisition was the third Boeing 777, which the carrier has procured in the last one year preparatory to its flights into key cities in Europe, North America, Asia and Africa. In a statement signed on behalf of the Anambra State government, the Commissioner for Information and Public Enlightenment, Mr C. Don Adinuba, quoted Governor Willie Obiano, to have described Air Peace as Nigeria’s fastest growing and most ambitious airline in history. “This carrier has been in existence for less than six years, yet it has acquired over 20 aircraft, making it the largest in the country”, stated the commissioner who called its equipment as state of the art. “Of particular interest to both the flying public and the government is its safety record which is excellent owing to the extra mile it goes to not only maintain its machines to the highest global standards but also make its technical crew regard safety as the highest pursuit in the aviation industry”. The state government also commended Air Peace for its professionalism, citing its integrity as regards take-off and landing time and the way it treats its passengers both on the ground and in the air. 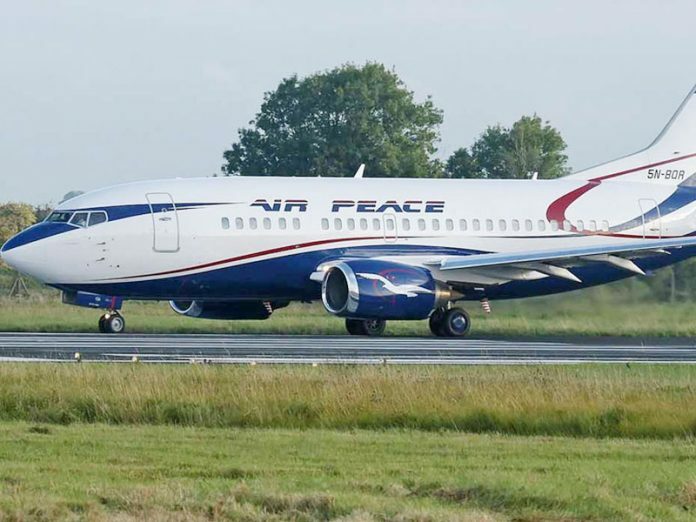 “In this regard, Air Peace competes with such international carriers as Singapore Airlines, Virgin Airways and KLM, Air France”, the state government said. The Anambra state government reiterated its call on the federal government to make the airline the country’s aviation flag carrier, like British Airways, which is the United Kingdom’s flag carrier. 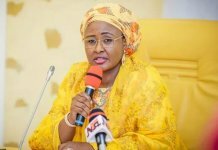 “This is a more pragmatic step to take than the rumoured current attempt in some quarters to make the President Muhammadu Buhari administration establish a state-owned airline, despite the terrible record of Nigeria Airways and the government’s wise suspension of Nigeria Air last September,” it stated. “There is no way any state-owned or promoted airline can enhance Nigeria’s reputation in the world that Air Peace is not doing and will continue to do with greater efficiency and results”. The Anambra State government praised the airline for what it described as proactive way of conducting business, which benefits both the air carrier and the larger society.